Whereas teams like the Detroit Lions and Buffalo Bills might otherwise struggle to attract the same level of talent as the Dallas Cowboys and the New England Patriots, the salary cap ensures that teams are at least at parity on the amounts of cash they can dispense for that talent. However, this appears to entirely overlook the purpose of those investments from the very consumers who subsidize those teams: they want to see the best version of their team on the field, whether they are watching from the stands of a billion-dollar stadium or the comforts of their own home. The salary cap causes not only an undervaluation of the talent pool by suppressing the sums available to them for any given year; it effectively distorts the financial calculus for every team. Akin to college campuses across America, where unfathomable sums of government-backed loans and direct subsidies persistently bid up the prices of tuition while failing everywhere to represent the real value of that tuition while ornate facilities and cafeterias pop up every year, the NFL has invested far more in aesthetics and football-irrelevant ventures which fail to proportionately, or remotely, promote the interests of their treasured consumer base who remain desperately attached to the declining traditions of their team. What’s more, each team’s coaching staff pours tremendous quantities of energy and countless hours of labor into the development of their programs, their playbook and athletes, tailored each year around their present rosters. Not only does the staff coach up these players when they arrive on site, but they heavily scout their athletes to find diamonds in the rough, such as Chris Canty, Tony Romo, Dak Prescott and the famed sixth-round pick out of the University of Michigan, Tom Brady. All of these endeavors come at a cost not directly expressed in monetary terms at the onset, while the expression of their success only later manifests to their own detriment through a weighty appreciation of that athlete’s market value. And of course, because of the salary cap, the team may shoulder this weight for only a limited number of athletes before reaching the limit. In this case, the team is tacitly incentivized to restrict the budding athlete’s performance before locking him into a long-term contract, otherwise jeopardizing millions of dollars in cap space or losing the developed athlete to another team whose cap room enables a greater investment. In this case, the athlete then joins a team that must restructure its playbook to accommodate a new athlete, while the athlete and fans must settle for an arrangement of lower quality, in terms of both contract value and football outcomes. To deliver this point, let’s focus on the case of nine-time Pro Bowler DeMarcus Ware, drafted by the Dallas Cowboys out of Troy University in the first round of the 2005 NFL Draft. Before the addition of DeMarcus Ware, the Cowboys employed a 4-3 defensive scheme. Upon his arrival and drafting additional defensive talent, including Marcus Spears, Kevin Burnett, Chris Canty and Jay Ratliff, all from that same 2005 NFL Draft, the Cowboys switched to a 3-4 defense to accommodate their new talent. In the following three drafts, the Cowboys would then enlist the likes of Jason Hatcher, Anthony Spencer and Mike Jenkins, all of whom would reach the Pro Bowl at least once in their careers. By the beginning of the 2015 season, every one of these athletes had moved on to another team. Another example of the salary cap’s effects can be traced back to the 2007 NFL season, when the Dallas Cowboys finished with thirteen wins and only three losses, sending a record thirteen players to the Pro Bowl. Just three seasons later, only four of those players remained on the team’s roster, as the others left in pursuit of bigger contracts. Part of the fandom experience is following the progress of developing talent. This enables the fan to engage at a far more intimate and personal level, as he or she develops a sort of relationship with the players on the field. As fans, we purchase the jerseys of teams but also players, and we popularize chants and nicknames for athletes and core members of the team. Remember the Doomsday Defense, the Steel Curtain, the Big Blue Wrecking Crew, the Bruise Brothers, and the Purple People Eaters? These were all made possible in a cap-less era, when developed talent remained with their teams and specifically honed their skills alongside familiar faces within familiar concepts. Where we find transient athletes moving between teams, we cannot account for the frictional cost of time lost to learning a new playbook and the idiosyncrasies of a new team. Likewise, we cannot account for the learning curve for coaches becoming acquainted with their new athletes. One of the greatest misfortunes about the salary cap is that one player’s achievement can simply be the manifest expression of the success of the whole unit, and where we find one athlete’s excellence, we might also find that this individual purely complements the whole. And so the acclaimed athlete eventually moves on to another team of inferior rank, instead of continuing to build the program in which he had flourished, and his new team fails to complement him with a competent surrounding staff as their former top talents also left for other lacking teams filling major roster gaps. 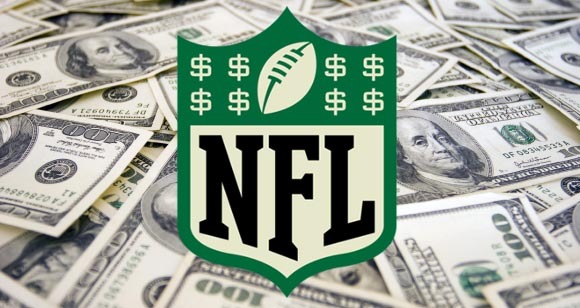 And so the vicious cycle continues, as the NFL salary cap aspires to flatten the terrain of the playing field to mediocritize the league, make the games more about fanfare and the stadiums, and sell jerseys of players who will be gone in three to four seasons.